Walt Widner has been found!! attempt to forward letters if you have the person's social security number. This begins a whole new chapter in our lives and I am looking forward to it. We are planning to meet each other for the first time ever in March. Hi, My name is Trevina. I am searching for a biological father I've never had the chance to meet. His name is Walter Bascom Widner, but he is called Walt by friends and Junior by family. I believe he was born June 13, 1945. He lived in Hapeville, Georgia in the late 50's, 60's and early 1970's. 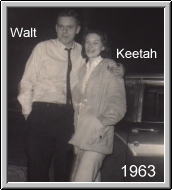 His address in the early 60's was 261 Moreland Way Hapeville, Ga.
My mother, Keetah, met Walt back in the early 60's in Atlanta, Ga.
Walt was living with his mother, Vinnie. 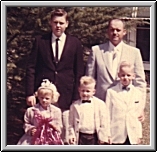 Mom became pregnant in early 1964 and soon moved back to Texas. She never saw Walt again, but she did get letters from him periodically until about 1969. Walt was sent a photo of me when I was four. In the last letter he wrote to my mom he told her he had gotten married and had twin daughters, which I'm not sure is true. He had a car dealership at 2973 Bankhead Hwy NW in Atlanta, Ga. It was called G. and W. Motors, Inc.
His older brother, Wiley was living in Florida. Walt and his brother had a 36ft. Crisscraft that he and his brother sailed between Florida and Lousianna. The boat was kept in Tampa, Fl. Walt may have been in a reform type of school when he was 16. 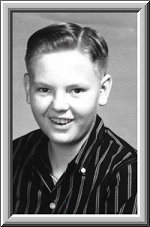 Walt may have been in 8th grade in 1959 at Hapeville High School. If you can help, please e-mail me below. I have spoken to a few people in Hattiesburg, Ms that may know the Walt that I am searching for. These people have used car dealerships and say that Walt is still in the used car business. Approx. 7 years ago Walt leased a dealership in Hattiesburg called "Cloverleaf Motors". I am not sure if Walt used the same company name when he was leasing the property. The man at Cloverleaf said Walt had gone back to the Atlanta area and he gave me a man's number at Grant Motors in Hattiesburg. Walt was last seen by a man at Grant Motors five years ago. The man saw him at a car auction in Hattiesburgh. The man said he heard Walt may be in Bisbee, Az. He said he heard Walt was working at a Pizza Place. This man has given me a few leads, but so far none of them have gone anywhere. Walt has a few friends who may know where he is. Their names are David Fritz(I've called the listed ones in Ga..not the same one), a man named Lewis...I finally got in touch with Lewis and he said he had not seen Walt in about 10 years...and a man in Petal, Ms named Grady. Walt was issued a social security number between 1957-1958 in Florida. I have a copy of what may be Walt's number. There is a possible address associated with him in Houston, Tx from Dec. 1987/Jan 1995. Walt may sometimes spell his last name Wydner. Walt and his mother, Vinnie at the house in Hapeville. I have found out that Walt's brother's names are Wiley and Eual. Both are deceased. 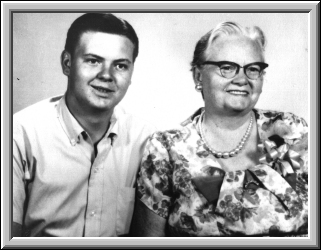 Walt's sister's name is Eula Mae Green. She is deceased. Walt's father's name is Walter Bascom Widner and he is deceased. I found Wiley's will on the web and found out his full name is Wiley Oscar Widner. Died in 1995. He lived in Lakeland, Fl. He has two children and I have their names and am currently trying to locate them. Wiley's wife is Lynda and she is deceased. UPDATE June 20, 2000 I have spoken with Wiley's daughter and his son's ex-wife. They have shared some stories about the family. They do not know where Walt is, but it is very exciting for me to find out about cousins that I have. I also found out that Vinnie's maiden name is Henslee. I spoke to Vinnie's brother's wife in Ohio. Vinnie's brother died in 1998. Mrs. Henslee was very nice, but she didn't know anything about Walt's whereabouts. She gave me her nephew's, Blondie, phone number in Florida and I called and spoke with him, but he didn't know where Walt was either. He sent this picture of Walt at eleven years old to me. Walt when he was eleven. Click here to visit the many links that have helped me in my search for Walt. Walt and his brother, Wiley and Walt's cousins. Get your free guestbook buttons and backgrounds! Animated Backgrounds, and lots of buttons to choose from.